You must make reservations at least 5 minutes in advance of the time at Buenavista Restaurant & Bar. 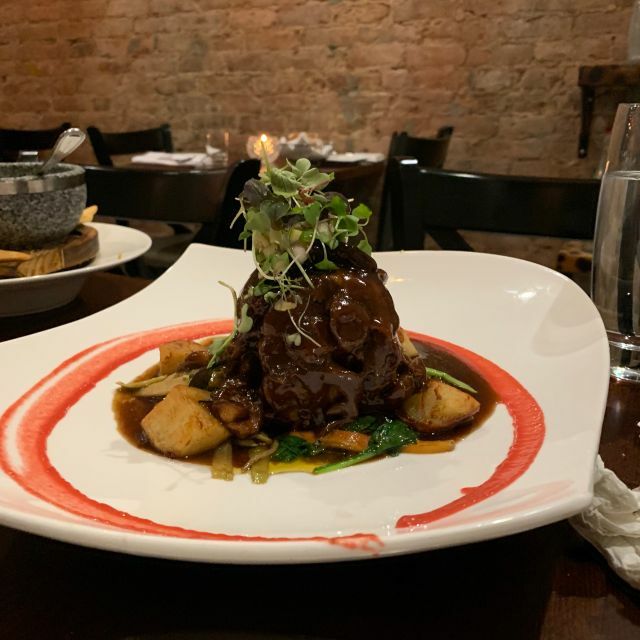 BuenaVista Restaurant & Bar is a gourmet Latin American eatery located in Hell’s Kitchen NYC. The restaurant’s ambience, décor and cuisine will leave you feeling that you’ve been on a Latin American tour. Our aim is to provide first class hospitality along with a memorable culinary experience. 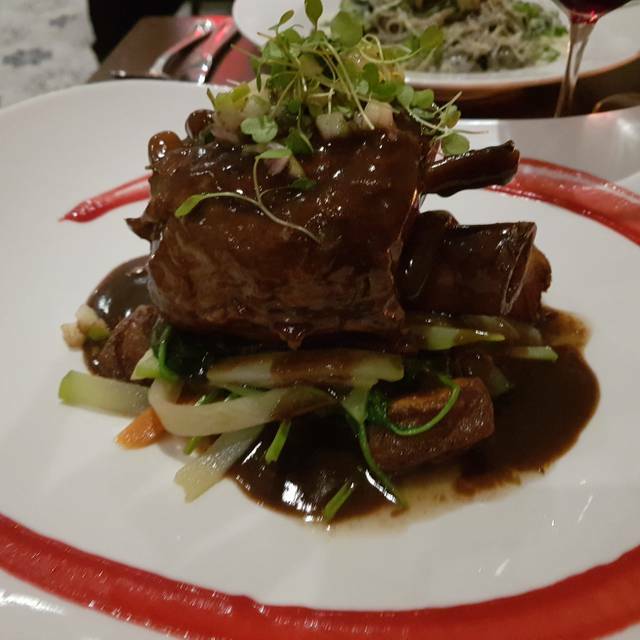 From start to finish, you will receive exceptional customer service, mouth-watering food, exotic cocktails and an extensive wine list. 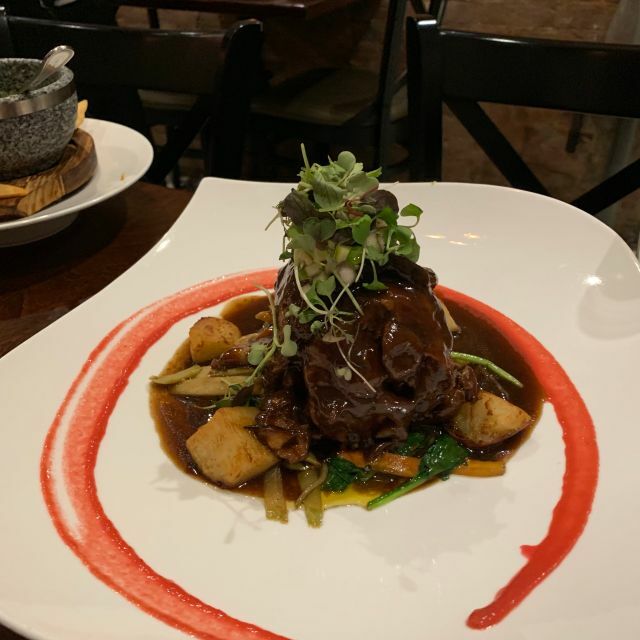 Your dining experience will encompass some of the amazing flavors from the Caribbean islands of Cuba, Dominican Republic, Puerto Rico and even some of the undiscovered regions of Mexico & South America. 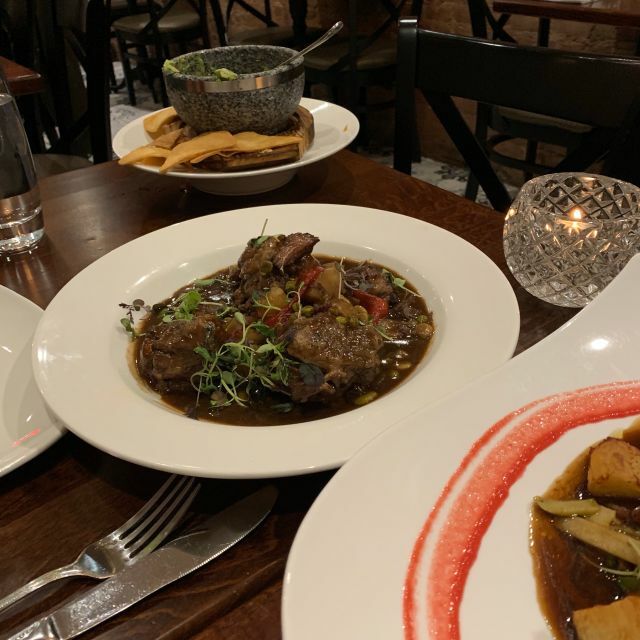 At BuenaVista you can try "yucca” (or cassava) from Cuba, “barbacoa" (or pozole) from Mexico and Patagonian cuisine from southernmost South America. You'll be able to experience how the regional Caribbean and South American climates influence certain dishes. One of the best Latin American restaurant. I have had great food all over Latin America, but this sweet little spot in Hell’s Kitchen is amazing. The best octopus I have EVER had. The seafood tamale was incredible. The dishes were pieces of art. Lovely wines by the glass. I wish I could have tried everything on the menu but will have to return on next visit to Manhattan . You must try this restaurant. 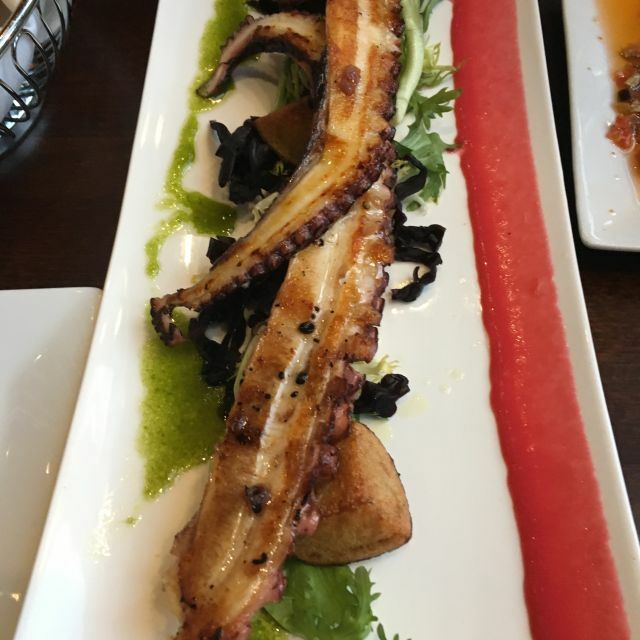 Get the grilled octopus, amazing food and service. What a great restaurant!!! 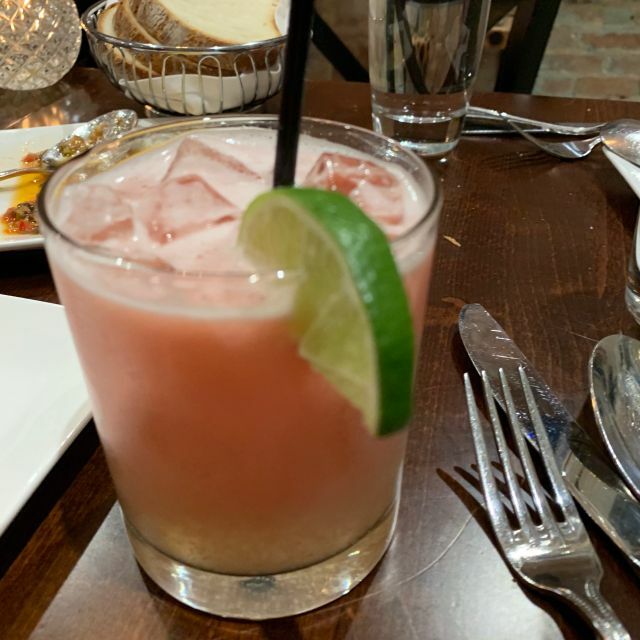 Wonderful drinks (the guava basil margarita is fantastic) and amazing food and welcoming and accommodating great service. Could not ask for more. What a gem! The restaurant is small and unassuming on a super busy street but inside it was perfect. Was greeted at the door (by name!) by Richard. Very friendly to our group. Our waiter Ricky was also very nice. We asked for suggestions on the menu and opted to take his advice and all was delicious. The grilled octopus was outstanding. Ceviche, empanadas and guacamole as well. My group loved the skirt steak as I opted for paella and salmon. A very nice atmosphere and the staff really was welcoming. Would recommend to those in the Times Square area. Everything was delicious! we had the grilled octopus special that was cooked PERFECTLY! even the drinks were delicious. We didn't feel rushed at all and I can't wait to go back. 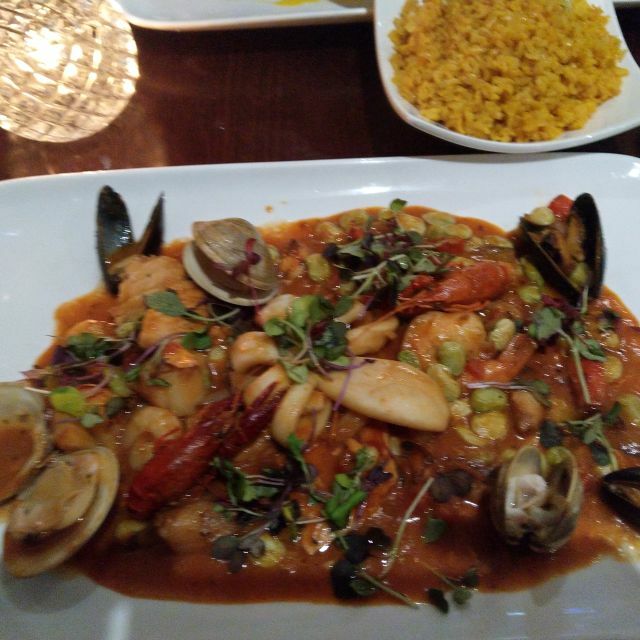 The octopus and ceviche appetizers were outstanding and the paella was good, although not overly traditional. The Numanthia Termes is a great wine at a decent price. A small but cozy restaurant. Service was great. Really nice staff. Food was tasty, good portion sizes and great value for money. Not ideal for large groups over 6 (unless you reserve in advance). Certainly a place I’d return to. Nice neighborhood as well. Easy to get to. Yes, it can get bit noisy because it’s a small place, but if you love extraordinary food and great service, run to this place at your first opportunity. The staff was cheerful, friendly, and attentive. Staff who were not even our Server stopped to make sure everything was to our liking. I had the skirt steak and it may have been the best steak I’ve ever had. My husband has the osso buco. Again, perfect. We’re marking this one of our favorites and will beeline here next time we’re in town. This restaurant is awesome. The food was so delicious. The staff was amazing. The overall experience was fantastic. Loved it and will definitely go back. Great for kids. Different / unique / interesting menu. No TVs (good!) so no distractions. Amazing place! Absolutely loved the place. The menu had so many nice options, lots of selections. They have a huge list of hot and cold appetizers. Drink menu is pretty good as well. I ordered linguini with sea food and it was a very good portion and very tasty. Appetizers tuna with plantains was very unique and octopus special was very nice. Tres leches cake was very tasty and generous portion, good for sharing. Service was great! Waiter was so friendly and so pleasant. Place is small but very comfortable and inviting. I would 100% recommend it. Amazing. The Argentinian skirt steak was unreal. Cooked to perfectly and unbelievably tender. Would highly recommend. 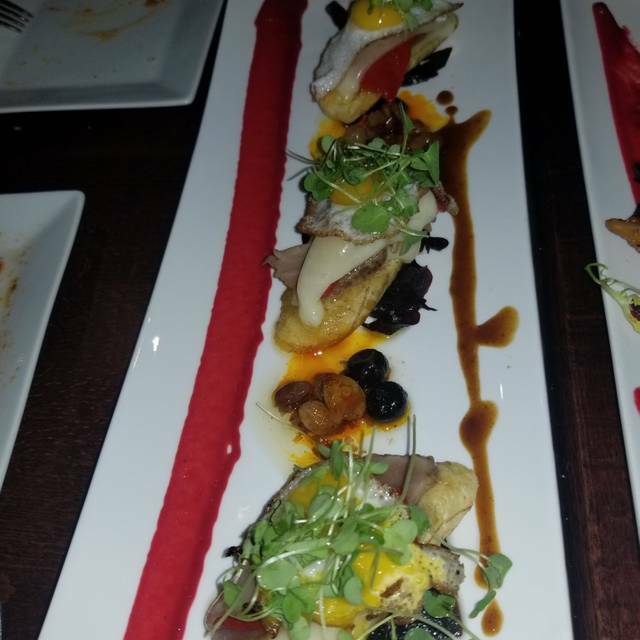 Interesting and delicious food that is plated beautifully and reasonably priced, particularly given the quality. 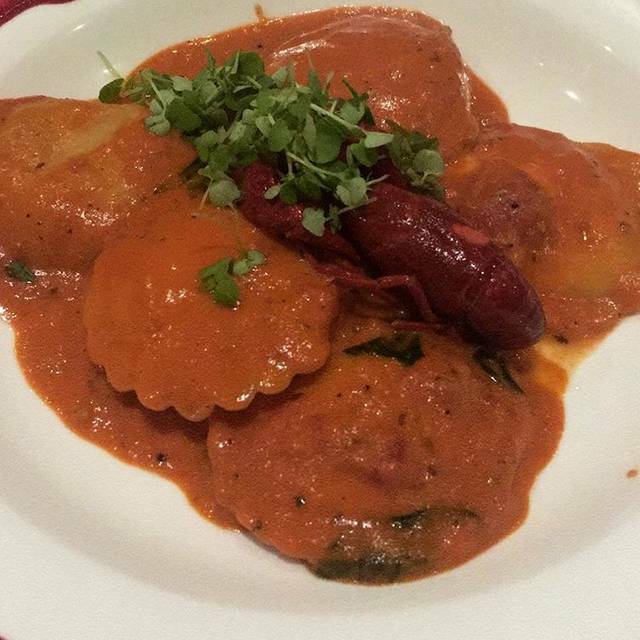 Main courses are good, but the appetizers are the stars. This is an excellent pre-theater choice when attending performances between 8th and 10th on and along 42nd street. Delicious food! Very nice and friendly staff! I Had a delicious pre theatre dinner at Buenavista. All our dishes (I had a garlic shrimp appetizer and salmon for my main course) were excellently prepared and presented nicely. Our waiter was polite and helpful, but we did have to ask for a check as soon as we were done due to somewhat slow service. The restaurant is on 9th Ave. near Port Authority, so not the loveliest location, but very convenient. Inside the space is basic, but comfortable with the often Manhattan cramped coziness. I did not mention nor was I asked if I was seeing a show. Based on the locale that may be a good idea. Knowing that I look forward to returning to Buenavista in the future to enjoy their fine cuisine and friendly service. I was extremely dissappointed this time around, 1st of all the restaurant was very short staffed with only one waiter for the evening. My husband and I ordered pasta that evening ,he ordered lobster ravioli and I ordered the shrimp scampi with ink alfredo sauce. My dish looked nothing how it was described on the menu, it was a mish mosh of spaghetti noodles with some pcs of shrimp lukewarm and it looked as if it was just thrown on the plate and did I also mention the sauce was black and very salty. A far cry from our last experience when everything we ordered was so beautifully presented. Server Starlin is amazing and has excellent knowledge of the menu and you should pick his brain while ordering. Manager Richard is just a real fun guy and made our experience very entertaining. Cocktails were excellent, apps were so good I may just order a bunch of those next time! Nice ambiance and good service. The appetizers (Guacamole and Octopus) were very good but the entrees were a little uneven. The Lobster Ravioli was excellent, Paella was good (but not great) and the squid ink pasta wasn’t great. To their credit, they noticed that my friend didn’t like his pasta and took it off the check. The food was good enough, and the service was very good, that I’ll be back to give them another chance. Great asset to the area. Wonderful options on the menu deliciously prepared. Friendly staff, great sangria. Can't wait to return. Excelent food, fair price and Ryan, the best waiter in NYC. 2nd time at Buena Vista. Food is excellent and a great value. Cocktails are good too! A great neighborhood place! The menu was terrific - nice variety with a Latin flair. Everything was delicious. The service was professional. Great for ore-theater. From the moment we were greeted at the door, we were treated like royalty. The service, food, and atmosphere were superb. Loved the Ossobuco, very large, tender and tasty. Duck entree was fine. Oxtail potato ball appetizer great. Cured pork on plantain appetizer amazing and surprisingly big. My wife and I came here after a conference. Excellent service. Great food. Great drinks. Pretty decent value for food of this quality in Manhattan. All around lovely spot. Love the menu options... very flavorful food. Will definitely visit again when back in the City! Excellent all around. Surpassed expectations. Skirt steak, ceviche, salad, desserts all excellent. The duck was good; however, my wife ordered the chicken and shrimp dish which for some reason the chef decided to add both cheese and and pickled red peppers despite it not being mentioned in the ingredients. The additions fought the sauce and shrimp. The other obvious concern is some people have allergies and based part of their ordering on what is in a dish. The waiter was great and the manger listened to my concerns and truly seemed concerned and attentive. They get high marks. The food could improve. Simply amazing!!! Food is unbelievably tasty, portions are huge and the service is great! Everything was lovely, great service and food. We will come back. Fabulous food!! Enjoyable evening- great service!! My fiancé and I came here for dinner and absolutely loved it. The food was delicious and the service was impeccable. I can’t wait to go back!